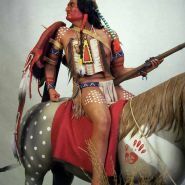 The Lakota people (pronounced [laˈkˣota]; also known as Teton, Titunwan (“prairie dwellers”), Teton Sioux (“snake, or enemy”) are an indigenous people of the Great Plains of North America. 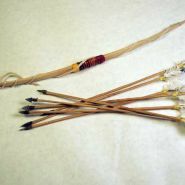 They are part of a confederation of seven related Sioux tribes, the Očhéthi Šakówiŋ or seven council fires, and speak Lakota, one of the three major dialects of the Sioux language. 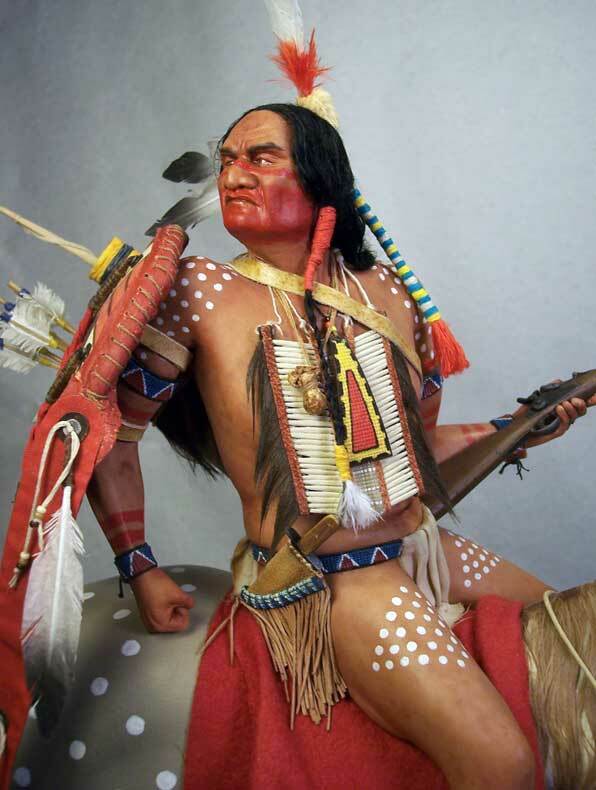 Their population was drastically reduced after the European invasion of North America. 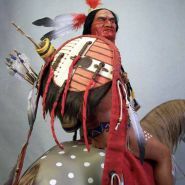 Notable persons include Tȟatȟáŋka Íyotake (Sitting Bull) from the Húnkpapȟa band; Touch the Clouds from the Miniconjou band; and, Tȟašúŋke Witkó (Crazy Horse), Maȟpíya Lúta (Red Cloud), Heȟáka Sápa (Black Elk), Siŋté Glešká (Spotted Tail), and Billy Mills from the Oglala band. Siouan language speakers may have originated in the lower Mississippi River region and then migrated to or originated in the Ohio Valley. 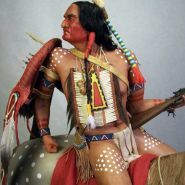 They were agriculturalists and may have been part of the Mound Builder civilization during the 9th–12th centuries CE.In the late 16th and early 17th centuries, Dakota-Lakota-Nakota speakers lived in the upper Mississippi Region in present day Minnesota, Wisconsin, Iowa, and the Dakotas. 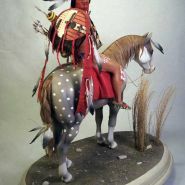 Conflicts with Anishnaabe and Cree peoples pushed the Lakota west onto the Great Plains in the mid- to late-17th century. 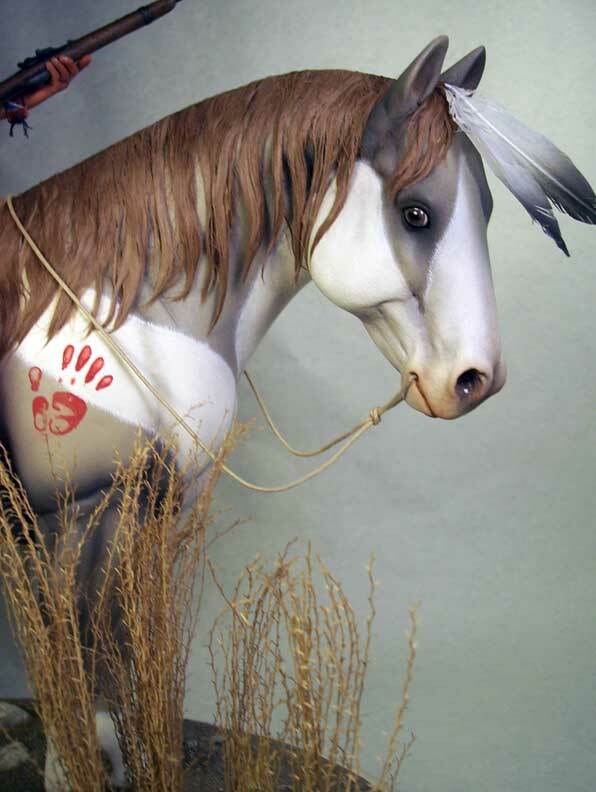 Around 1730, Cheyenne people introduced the Lakota to horses, called šuŋkawakaŋ (“dog [of] power/mystery/wonder”). 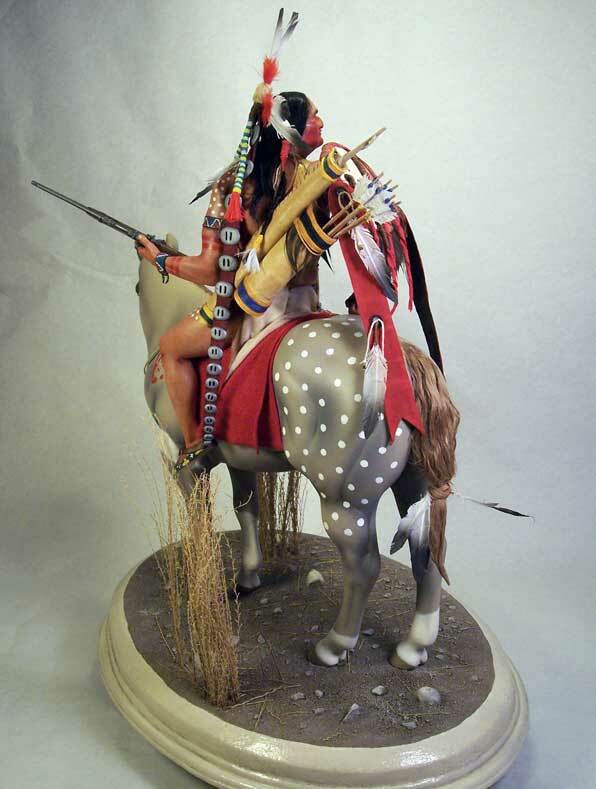 After their adoption of horse culture, Lakota society centered on the buffalo hunt on horseback. The total population of the Sioux (Lakota, Santee, Yankton, and Yanktonai) was estimated at 28,000 by French explorers in 1660. 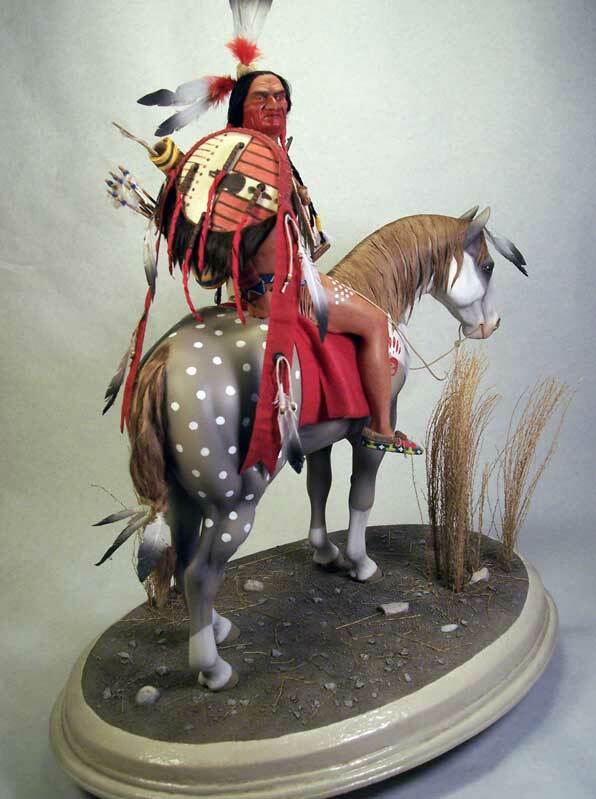 The Lakota population was first estimated at 8,500 in 1805, growing steadily and reaching 16,110 in 1881. 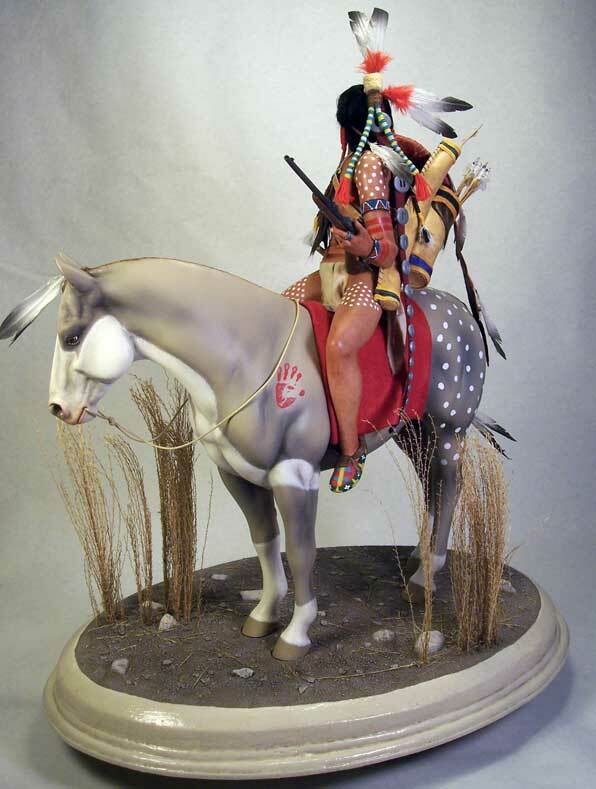 The Lakota were, thus, one of the few Native American tribes to increase in population in the 19th century. 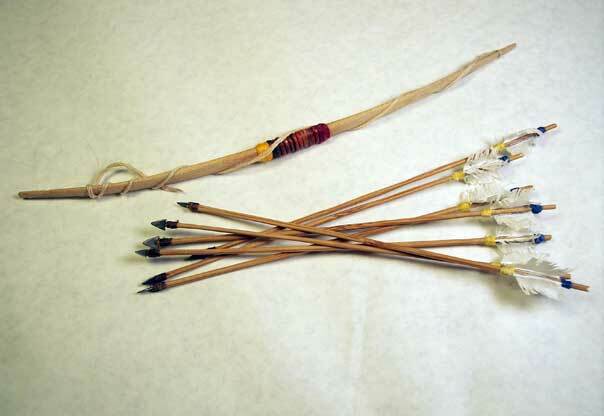 The number of Lakota has now increased to about 70,000, of whom about 20,500 still speak the Lakota language. 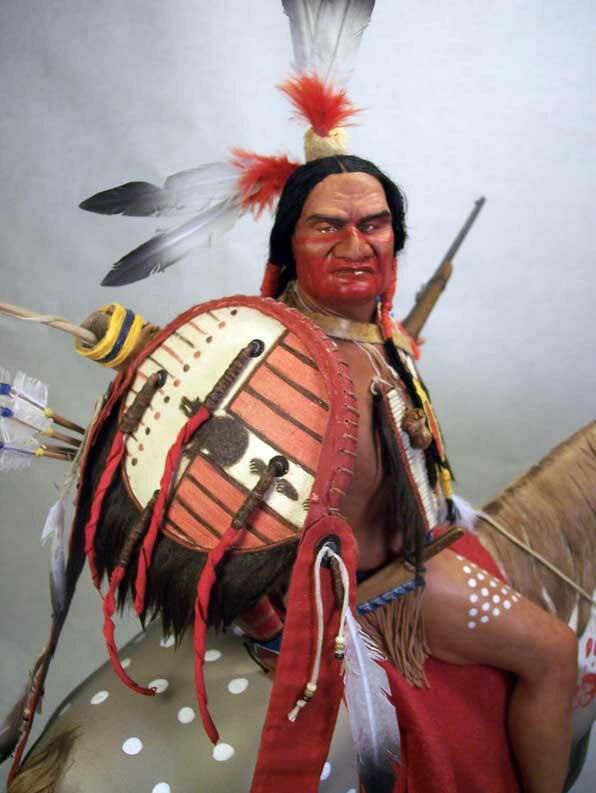 The large and powerful Arikara, Mandan, and Hidatsa villages had long prevented the Lakota from crossing the Missouri. 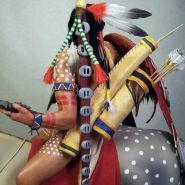 However, the great smallpox epidemic of 1772–1780 destroyed three-quarters of these tribes. 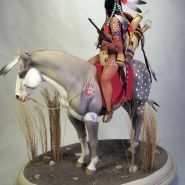 The Lakota crossed the river into the drier, short-grass prairies of the High Plains. These newcomers were the Saône, well-mounted and increasingly confident, who spread out quickly. 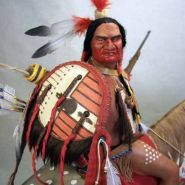 In 1765, a Saône exploring and raiding party led by Chief Standing Bear discovered the Black Hills (the Paha Sapa), then the territory of the Cheyenne. Ten years later, the Oglála and Brulé also crossed the river. 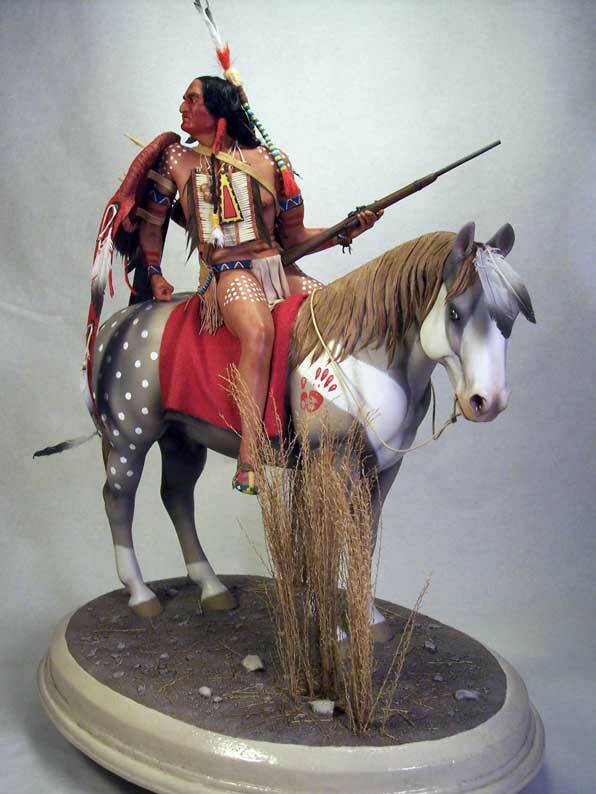 In 1776, the Lakota defeated the Cheyenne, who had earlier taken the region from the Kiowa. 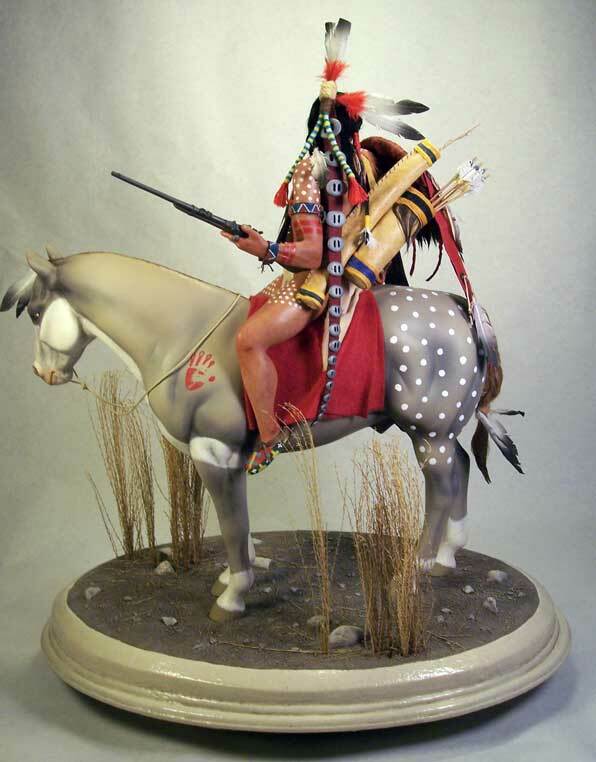 The Cheyenne then moved west to the Powder River country,and the Lakota made the Black Hills their home. 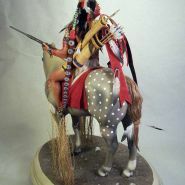 Initial United States contact with the Lakota during the Lewis and Clark Expedition of 1804–1806 was marked by a standoff. 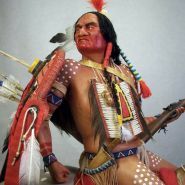 Lakota bands refused to allow the explorers to continue upstream, and the expedition prepared for battle, which never came.Nearly half a century later, after the United States Army had built Fort Laramie without permission on Lakota land, the Fort Laramie Treaty of 1851 was negotiated to protect travelers on the Oregon Trail. 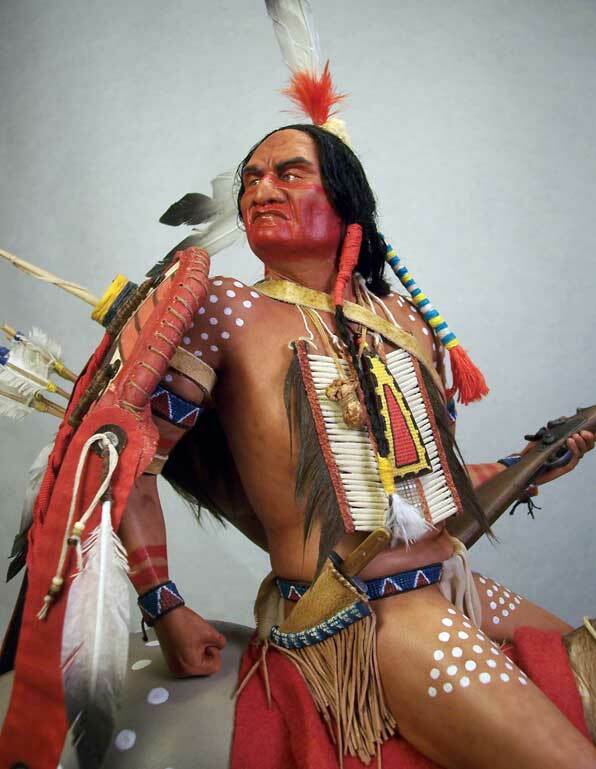 The Cheyenne and Lakota had previously attacked emigrant parties in a competition for resources, and also because some settlers had encroached on their lands.The Fort Laramie Treaty acknowledged Lakota sovereignty over the Great Plains in exchange for free passage on the Oregon Trail for “as long as the river flows and the eagle flies”. The United States government did not enforce the treaty restriction against unauthorized settlement. 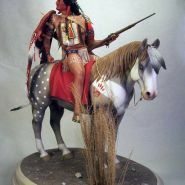 Lakota and other bands attacked settlers and even emigrant trains, causing public pressure on the US Army to punish the hostiles. On September 3, 1855, 700 soldiers under American General William S. Harney avenged the Grattan Massacre by attacking a Lakota village in Nebraska, killing about 100 men, women, and children. 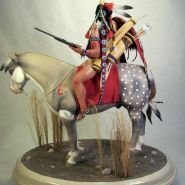 A series of short “wars” followed, and in 1862–1864, as refugees from the “Dakota War of 1862” in Minnesota fled west to their allies in Montana and Dakota Territory. Increasing illegal settlement after the American Civil War caused war once again. 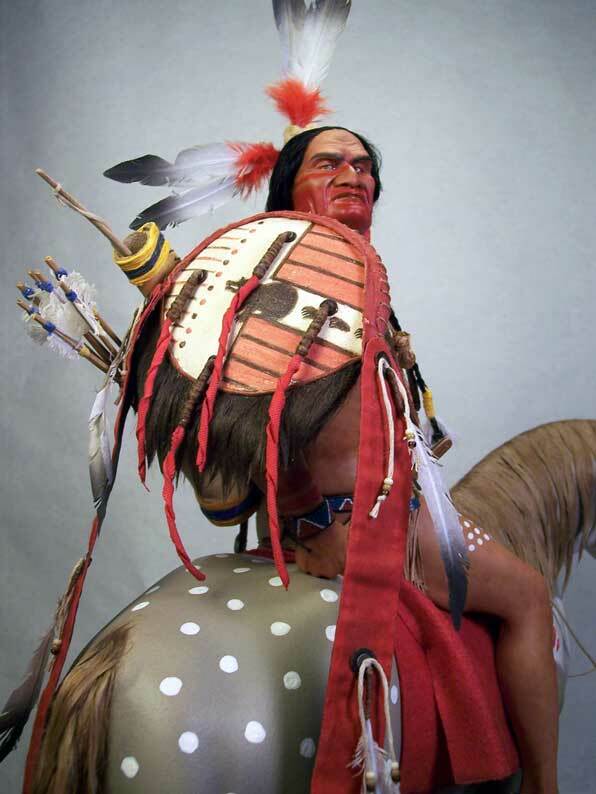 The Black Hills were considered sacred by the Lakota, and they objected to mining. In 1868, the United States signed the Fort Laramie Treaty of 1868, exempting the Black Hills from all white settlement forever. Four years later gold was discovered there, and prospectors descended on the area. 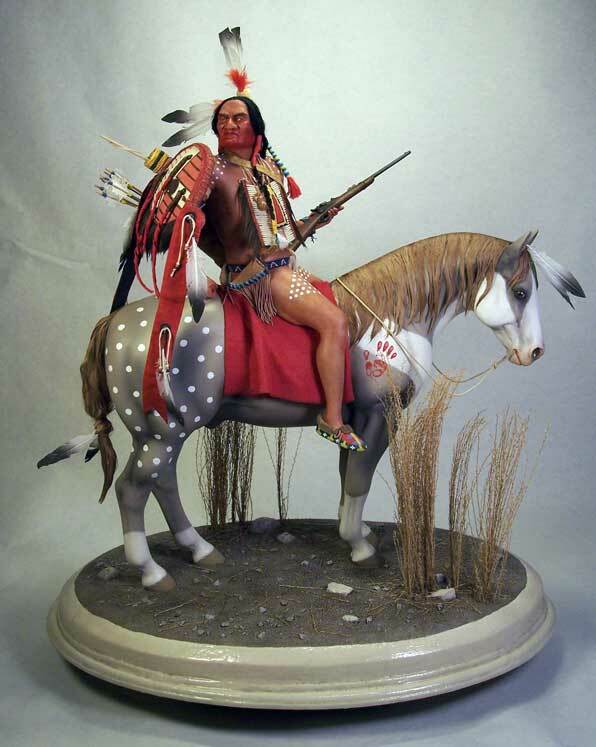 The allied Lakota and Arapaho bands and the unified Northern Cheyenne were involved in much of the warfare after 1860. 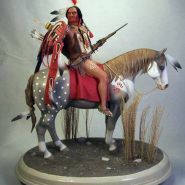 They fought a successful delaying action against General George Crook’s army at the Battle of the Rosebud, preventing Crook from locating and attacking their camp, and a week later defeated the U.S. 7th Cavalry in 1876 at the Battle of the Little Bighorn, which the Lakota call the Greasy Grass Fight. Custer attacked a camp of several tribes, much larger than he realized. Their combined forces killed 258 soldiers, wiping out the entire Custer battalion, and inflicting more than 50% casualties on the regiment. Their victory over the U.S. Army would not last, however. The US Congress authorized funds to expand the army by 2500 men. The reinforced US Army defeated the Lakota bands in a series of battles, finally ending the Great Sioux War in 1877. The Lakota were eventually confined onto reservations, prevented from hunting buffalo and forced to accept government food distribution. In 1877 some of the Lakota bands signed a treaty that ceded the Black Hills to the United States; however, the nature of this treaty and its passage were controversial. The number of Lakota leaders that actually backed the treaty is highly disputed. Low-intensity conflicts continued in the Black Hills.. Fourteen years later, Sitting Bull was killed at Standing Rock reservation on December 15, 1890. 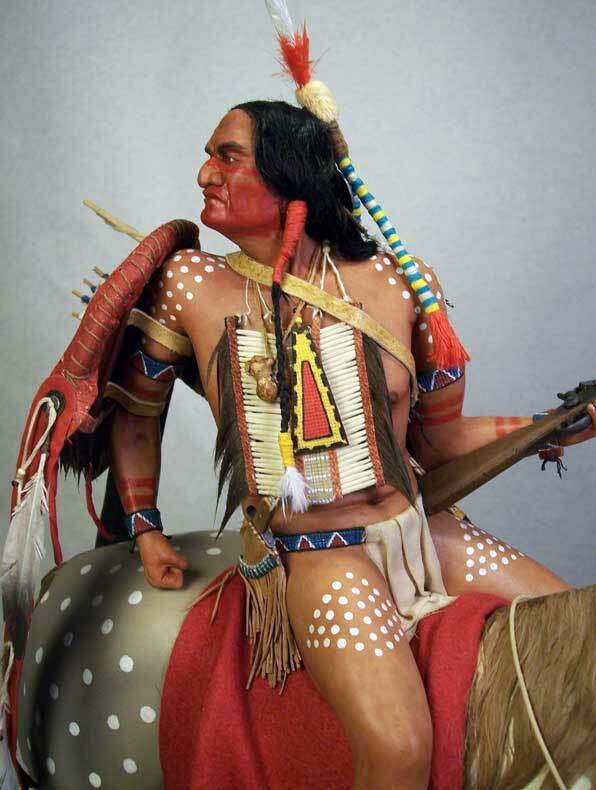 The US Army attacked Spotted Elk (aka Bigfoot), Mnicoujou band of Lakota at the Wounded Knee Massacre on December 29, 1890 at Pine Ridge. 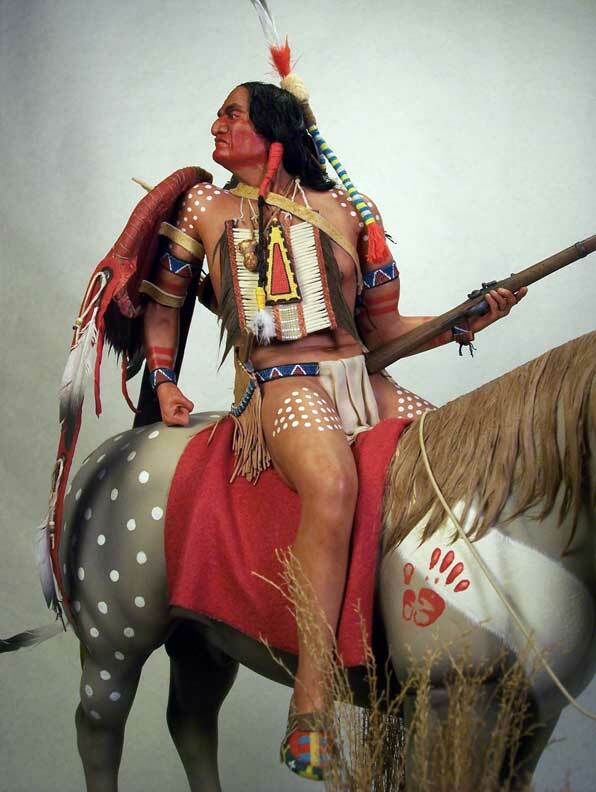 Today, the Lakota are found mostly in the five reservations of western South Dakota: Rosebud Indian Reservation (home of the Upper Sičhánǧu or Brulé), Pine Ridge Indian Reservation (home of the Oglála), Lower Brule Indian Reservation (home of the Lower Sičhaŋǧu), Cheyenne River Indian Reservation (home of several other of the seven Lakota bands, including the Mnikȟówožu, Itázipčho, Sihásapa and Oóhenumpa), and Standing Rock Indian Reservation (home of the Húŋkpapȟa), also home to people from many bands. 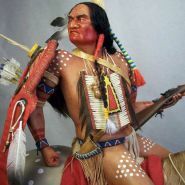 Lakota also live on the Fort Peck Indian Reservation in northeastern Montana, the Fort Berthold Indian Reservation of northwestern North Dakota, and several small reserves in Saskatchewan and Manitoba. Their ancestors fled to “Grandmother’s [i.e. Queen Victoria’s] Land” (Canada) during the Minnesota or Black Hills War. 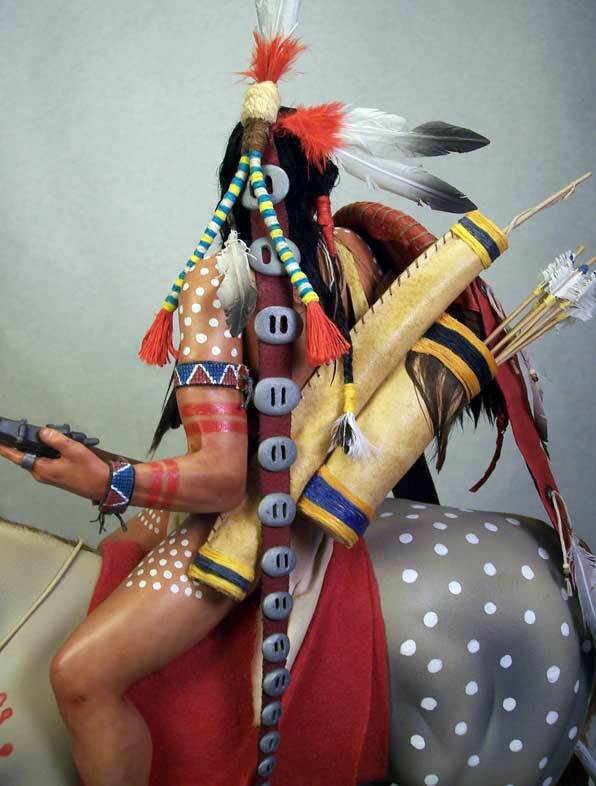 Except the rifle, everything that concerns the figure has been made from scratch. 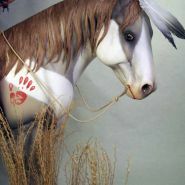 The magnificent horse comes from Luis Aguilera (Nohuanda), painted by me. The building took about 600 hours: by far the most challenging job I’ve ever faced!